Offer personalised and targeted content through an organisation wide intranet and extend your knowledge and resource sharing to your wider membership through our Portal. 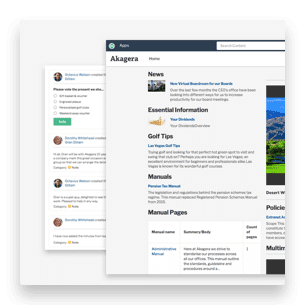 Share necessary information with all of your members within a controlled, secure and collaborative extranet environment. Provide deeper membership engagement, greater commitment and encourage retention with members who are empowered to share their experience and ideas. Ensure that your members have a digital experience that is personal to their interests and responsibilities whilst also enabling the promotion of important updates and announcements through organisation-wide newsfeed messages. Our group application provides the perfect space for networking and sharing knowledge. 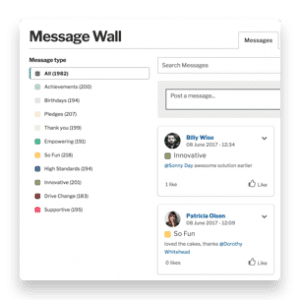 Employees and members can collaborate openly across hierarchies and teams, and our feed and notifications mean all stakeholders are kept up to date with any developments. 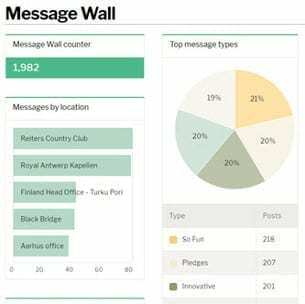 Our analytics tools provide you with a detailed insight into the behaviours of your users. This allows you to create an optimised experience for all of your users ranging from your internal workforce all the way to your external stakeholders. You can then easily make calculated decisions based on user experience and feedback.